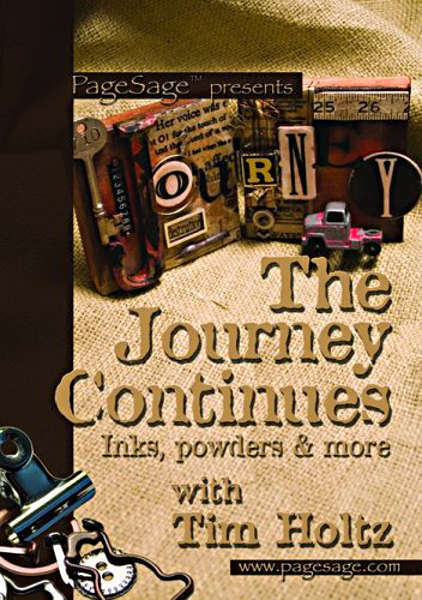 This DVD, The Journey Continues, is jam-packed with over 2 1/2 hours of ideas to inspire your creativity. Tim demonstrates step-by-step how to transform ink, embossing powder and polymer clay into everything from jewelry to greeting cards and scrapbook pages. Grab your supplies and get ready to join Tim on another creative journey.